Home / Real Housewives of ATL / RHOA / Porsha Williams & Dennis McKinley’s Body Language Tells It All! 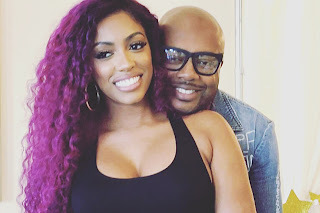 Porsha Williams & Dennis McKinley’s Body Language Tells It All! Real Housewives of Atlanta star Porsha Williams and Dennis McKinley went public with their relationship in June 2018, and since then, they’ve gotten engaged, welcomed a baby girl into the world, and they're reportedly planning a New Year's Eve wedding. Their relationship appears to be perfect, but does their body language tell a different story? Our expert thinks so! In case you didn't know, body language can reveal a lot about a couple, and it can sometimes predict whether or not their romance will last. So we found five pictures of the couple from Porsha's Instagram account and looked deeper into their PDA and the placement of their body parts. Of course, we don't know what really goes on behind the scenes of their relationship, but check out our video to see exactly what the body language analysis concludes about their love.